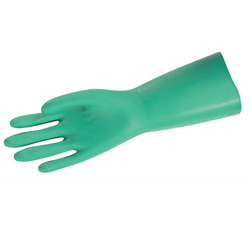 DBC MEMPHIS-5309 11MIL GREEN UNLINED GLOVES | Springfield Electric Supply Co. The online Cross-Reference Information presented on Springfield Electric's Website is proprietary and provided as a tool to determine potential equivalent catalog numbers. Catalog numbers of other manufacturers are shown for products that appear to be equivalent in their functional use, though not necessarily interchangeable. Product replacements/cross-reference may not be exact one-for-one match. They may not be equivalent as to form-fit-function requirements and may require a system replacement . Springfield Electric and the manufacturers recommend review of manufacturers' product literature, associated documentation of product details and verification of the information necessary to make the appropriate product selecting for a given application.